On September 29, 2009 the MESSENGER spacecraft, soaring 10,000 miles above the northern hemisphere of Mercury, captured this image of the rugged terrain of our solar system’s smallest planet. 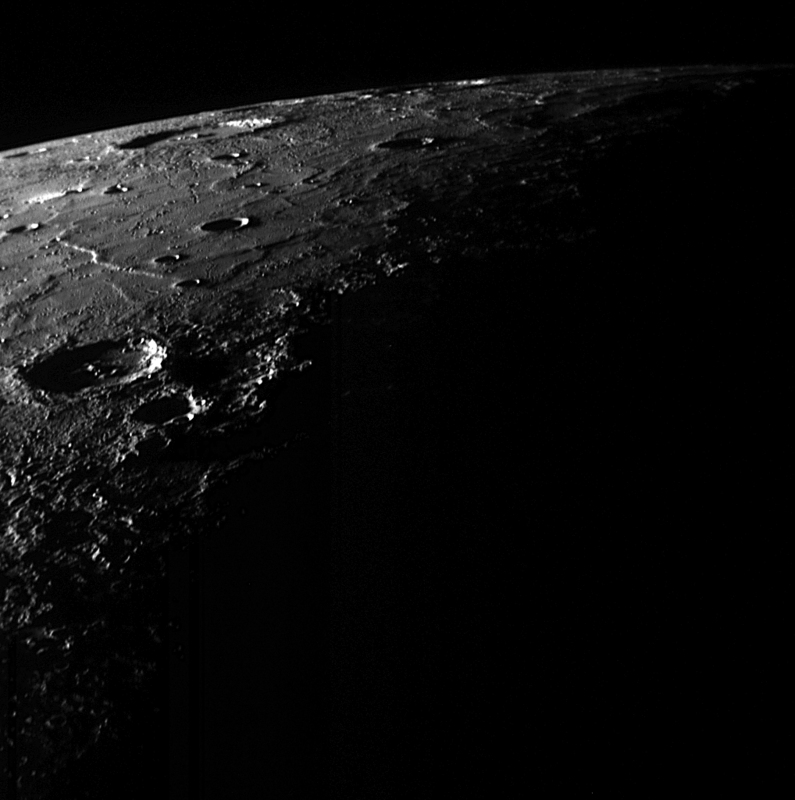 Sharp hills, undulating ridges and craters of all sizes gouge the surface of Mercury, not only the smallest planet but also the densest and least explored, and with some of the oldest surface features as well. Launched in August of 2004, MESSENGER has recently completed its third flyby of Mercury and will be the first spacecraft to establish orbit in March of 2011, in the hopes of learning more about this enigmatic member of our planetary family. Find out more about MESSENGER’s mission and goals here.